When I saw the synopsis for The Rogue Queen originally on NetGalley, I was so excited by it that I had to request it! 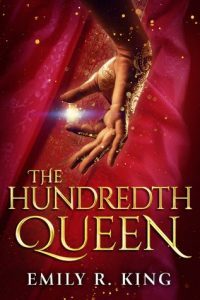 The first of the series – The Hundredth Queen – was on offer on Kindle then for 99p so I bought both the books leading up to The Rogue Queen (which is third in the series). Prior to reading the series, I have to admit I’ve never read a book with a religion based on a non-western religion before – but due to having an interest in many different cultures this just made me more intrigued to read it. A review of the final book (so far, there’s another coming thank god) wouldn’t make too much sense without the prior reviews, so I’ve included reviews for the first and second in the series also. But just to be clear I did purchase those two – only the third was an eARC from NetGalley. ‘He wanted a warrior queen. He got a revolutionary. I’d rate this more like 4.5 as I did really love it towards the end but originally the relationship between Deven and Kalinda feels forced, and really it isn’t until the story unravels that you get any idea of why they might have been attracted to each other. Having said that, what starts out as a world where mostly women are treated as inferior to men becomes a story where the focus is on sisterhood and an altogether uplifting start to a series. I definitely feel like it progressed by getting much better and the additional characters introduced also really helped to show the true character of Kalinda, the main character. I really enjoyed the world building also, the introduction of gods and a different kind of culture to any I’d read about previously. 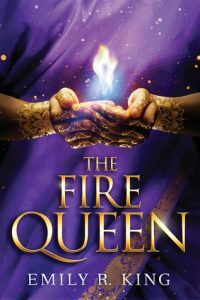 ‘In the second book in The Hundredth Queen Series, Emily R. King once again follows a young warrior queen’s rise to meet her destiny in a richly imagined world of sorcery and forbidden powers. First off, I need to say that I enjoyed this book so much more than The Hundredth Queen (even though I thought that was also pretty good, towards the end especially). I feel like the author was working up to it throughout the first book but honestly this one blew me away. Right from the start there was drama and I was enticed straight away by it, I also love the way that different chapters are from Kali and Devens’ points of view! Introducing Prince Ashwin to the series also was so interesting to compare him to his father. The other new characters and the introduction of different areas and customs was fascinating to read about and I think the world building just gets amazing in this book. There are a lot more “good” bhutas – elementals in this world – introduced also in this book which makes the story naturally one which has more drama and action than the previous. ‘Despite the odds, Kalinda has survived it all: Marriage to a tyrant. Tournaments to the death. The forbidden power to rule fire. The icy touch of a demon. This book completely blew me away, I adored the two stories prior to this but by the end I was in tears through all of the emotion in this book. Right near the beginning when Kali realises the extent to her circumstances she wastes no time to continue as planned and not dwell on the revelations – forever putting her people before her own health. Her character matures even more in The Rogue Queen and she becomes even more of a role model to those younger. 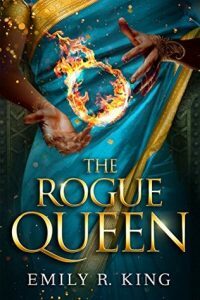 The use of two POVs – Kali and Devens’ – is continued with The Rogue Queen and it serves to further demonstrate the events in a full and detailed way. Prince Ashwin’s character develops further and we see that he has a lot more maturing to do – especially when it comes down to knowing what he should do for the good of his people. He’s riddled with regret throughout due to previous events but he remains to be a far more likeable and noble character than we would expect from the son of Rajah Tarek. There are a lot of new characters introduced in this book from various parts of the world also – adding to the world building with a range of different cultures and more Bhuta characters. My personal favourite new addition is that of Gemi – from the beginning she is headstrong and quite sassy, I’d love to see more of her in the final book. There’s a return of many characters from the first two books also, and it really helps to establish a connection with a lot of them. Have you read The Hundredth Queen series yet? Feel free to leave a comment or tweet @LuchiaHoughton about your thoughts! So you are telling me that I need to go on with this series? Happy Saturday!